When we bought this house we always had a plan to have three kids. I never imagined that it would actually happen but here I am now 26 weeks pregnant with that third kid. So we looked all along for a four bedroom house. 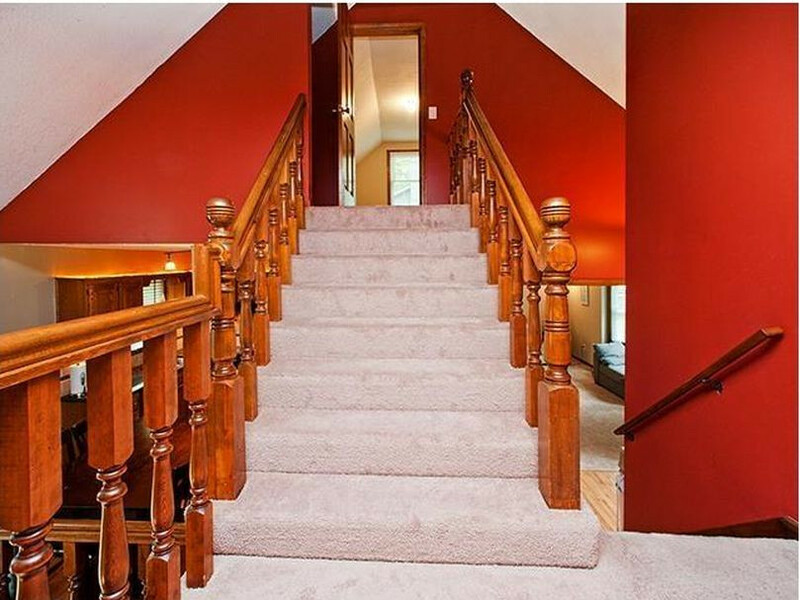 Our first house was also four bedrooms except the fourth bedroom was up a flight of steps and I was never wild about the idea of having to move Addison up there one day. I worried about her nagtivating the stairs in the middle of the night just to go to the bathroom. It just made me nervous. It was definitely a factor in why we ultimately decided to move. Not to mention the other two rooms were so different in sizes that I'm not even sure a twin could fit in the room we used as the nursery. In the long term, it was just a house that wasn't going to work for us. So we moved. We found a four bedroom house (check it out here). There are two bedrooms that are connected by a jack-and-jill bathroom. Then another bedroom that had it's own small bathroom at the end of the hall. When we first moved in, we let Addison chose which room she wanted. She chose the first bedroom up the stairs that connected with the room she picked for Connor via the bathroom. When we got pregnant we debated what to do about the third baby. 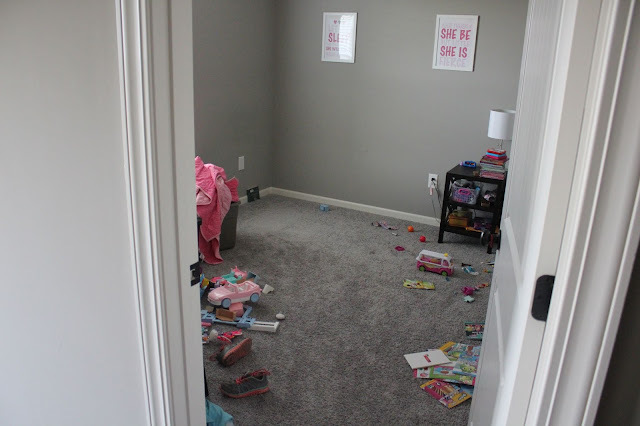 We didn't plan to put the baby in the third bedroom, but we debated if we match genders together into the jack-and-jill or if we should moved Addison and let the two youngest share the bathroom. 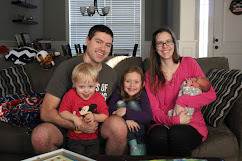 We went back and forth for awhile before we finally decided that we wanted to move Addison. When we first bought up the idea with her she was completely against the idea. She didn't want to move. She wanted to stay exactly where she was, so we let it go. Every once in awhile we brought up the idea of moving rooms. But it wasn't until I got a new desk for me that she came around to the idea when we proposed that we put my old desk into her room. She was suddenly all about the idea. We planned to have her moved before her birthday in October so we could get Connor his new bed (read about that here) and get Emma's nursery set up. But we got home from our beach vacation and school was about to start, and we were suddenly inspired to just get her moved before she started kindergarten. So one Saturday we started moving her. We basically traded the stuff in the playroom with the stuff in her room. It moved smoother than we thought. Of course I had a mess in what would become Emma's room but at least we were finally getting Addison moved in her new room. And of course it has become her new room quickly - mess and all. It took a little bit of adjustment but for the most part she has really liked having this new room. It is slightly bigger which means she can have that desk that she was so excited about. She also doesn't mind having her own bathroom where she now showers. She will one day realize how lucky she is that she doesn't have to share her bathroom then realize how unlucky when she has no one to help her clean it. But for now she's just pumped about having her new room. It was the next big step we needed to get ready for Emma. Since then we got Connor a twin bed and moved the crib into Emma's room, which means we don't need to do anything more to their rooms before Emma comes. 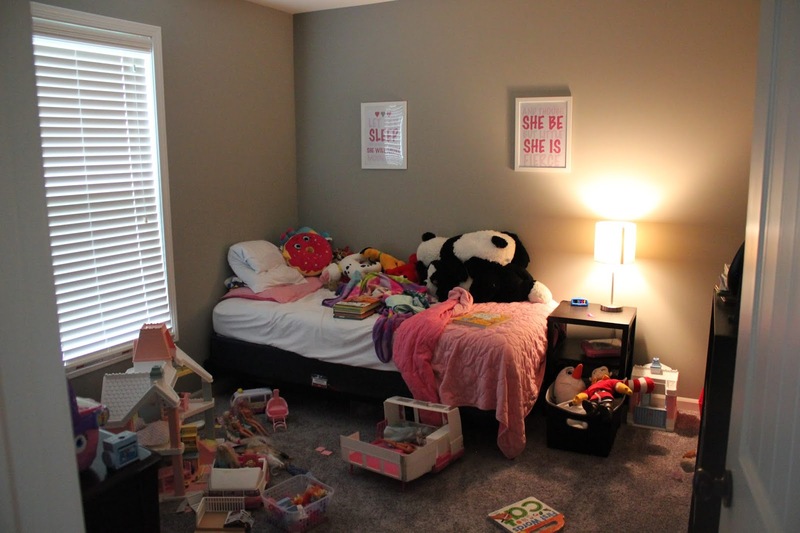 But no matter how unsure Addison was about moving into this new room before, she is definitely happy about the move and is enjoying her new bedroom.